As part of my first visit to Eataly a few weeks ago, I stumbled on Manzo & decided to get some lunch. There are a bunch of restaurants in the sprawling store, but this one really caught my eye. 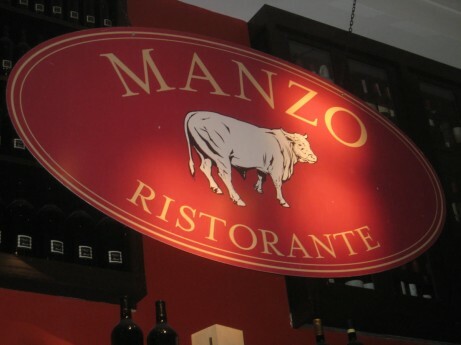 Manzo means ‘Beef’ in Italian, so by the name & the logo, you can guess what’s on the menu. Hurricane Irene had lots of people too scared to go out, so I was able to snag a seat at the bar. While smaller crowds meant better seating options, the weather also played havoc on employees ability to get to work & unfortunately also meant that there was a limited menu. Luckily for me, I choose a dish that I knew I’d enjoy. 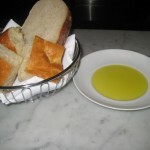 After ordering a beer (Moretti Bionda on draft), I got a selection of bread with some of the best olive oil I’ve ever had. 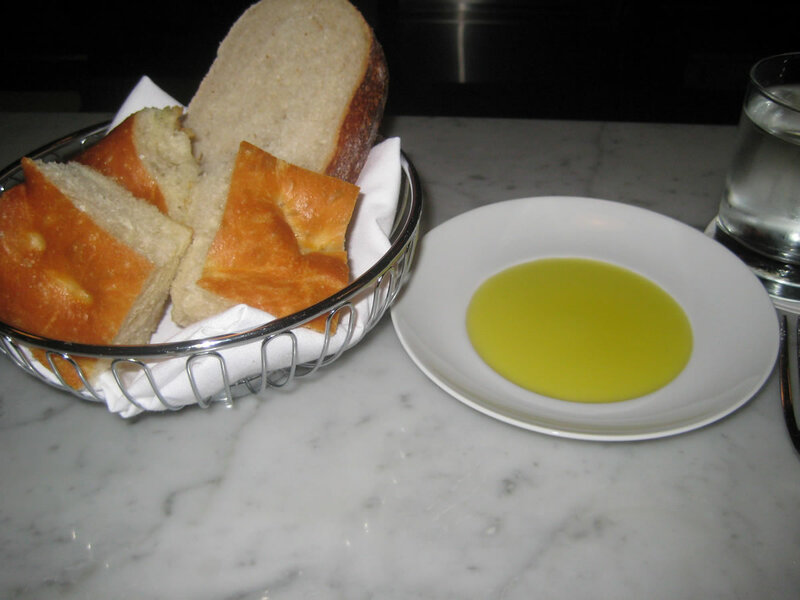 Undoubtedly the bread was baked in house & I’d expect nothing less from Mario Batali. Quite a mouthful to pronounce, but this dish was highly recommended by my friend. A spiral pasta in a tomato based sauce with plenty of offal, including cockscomb. This might not be for everyone, but I absolutely loved it! 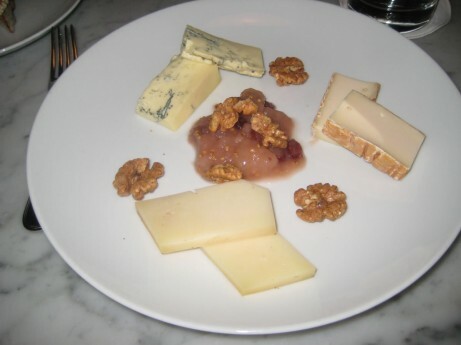 Although I was already pretty full, I decided to get a selection of 3 cheeses. There are a total of 7 (USA, Italy & Canada) to choose from, but I think that the blue was my favorite. There are plenty of dining options inside Eataly & I’m glad that Manzo was the first one I tried. 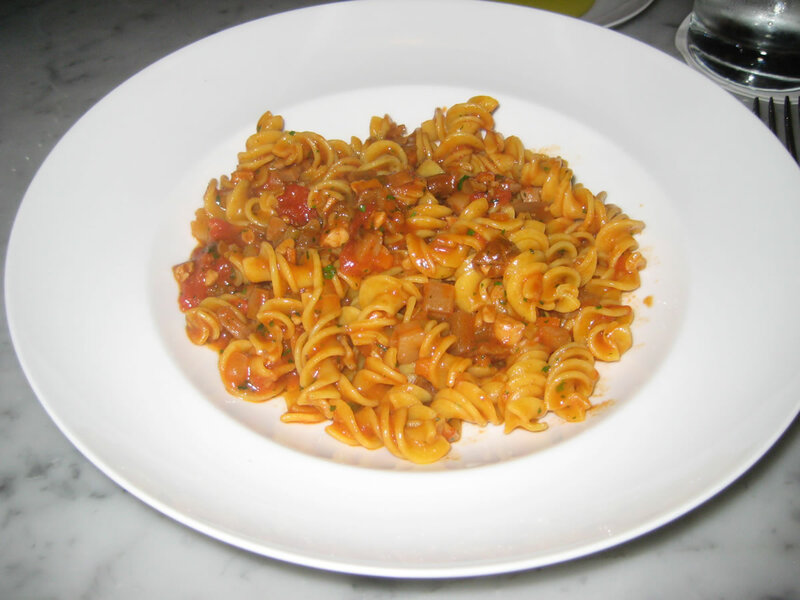 I wasn’t able to eat off of the full menu, but I enjoyed my meal & Manzo has set the bar for food at Eataly. It’s a bit on the pricey side, but well worth a visit.